American patriots William Dawes and Paul Revere rode out of Boston on the night of April 18, 1775. Their mission was to spread the alarm that British regular troops were on the march and meant to apprehend colonial leaders John Hancock and Samuel Adams, then in Lexington, and to capture munitions stored near Concord. Shots exchanged that night set the colonies on the path to independence from England. Dawes, born in 1745, was a fourth generation descendant of the first Dawes in America, who came to Boston in 1635. William was a tanner and tradesman, and he had six children with his first wife, Mehitable May, and one with his second, Lydia Gendall. His descendants include many who, in the 235 years since his ride, have made significant contributions in business and public service. The Descendants of William Dawes, Who Rode, Association (DWDWRA) was formed in 1971. As of 2005, the Association consists of approximately 300 families. The DWDWRA publishes a newsletter twice a year. It has organized 20 reunions around the country since the founding, and it holds a reunion at least every two years. 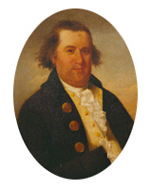 The purpose of the DWDWRA is to facilitate connections among descendants of William Dawes, to promote appreciation of the contributions by our patriot ancestor to the formation of the new nation, and to foster broad understanding of our common historical experience. Web visitors interested in possible family connections are invited to contact our genealogist (see Reunions & Contacts). For more information on Williams ride and on his life in colonial America and the early United States, click on The Ride. If you click on Descendants of Note, you can also access information on some of William's distinguished descendants. Those who are interested in joining the association will find a membership form at the Membership link. News & Links leads you to our newsletters, newspaper articles, and links of interest. For a history of past DWDWRA reunions, and a look forward to the next one, click on the Reunions & Contacts link.